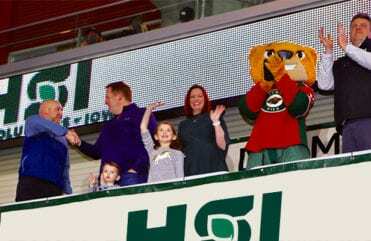 Iowa Wild and Home Solutions of Iowa want kids to play hockey. We are so passionate about growing the sport that we are once again giving youngsters hockey lessons and equipment for free. The Junior Crash Course’s learn-to-play program provides Central Iowa kids with a great opportunity to learn the game of hockey at no cost. 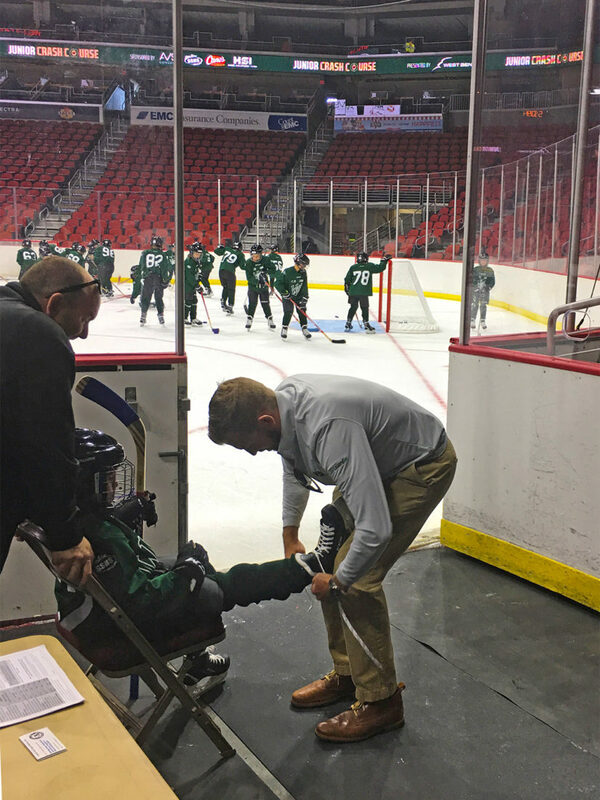 Joe Smith, Owner of Home Solutions of Iowa ties skates for one of the participants of the Iowa Wild Junior Crash Course. Last season, we donated 50 hockey kits, and it was such a success that we’ve added another 50 to this year’s Crash Course! Kids between the ages of four and twelve have the chance to learn how to skate and play hockey through the program, which consists of six sessions and is designed to introduce the sport at a beginner level. The most exciting part is that 100 kids were provided with free equipment from CCM, including a helmet, skates, a stick, a hockey bag and protective pads. 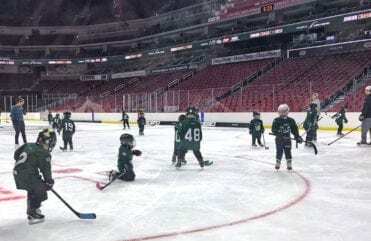 “Seeing kids try on their first set of hockey gear and head out on the Iowa Wild’s home ice was extremely rewarding,” Joe Smith of Home Solutions of Iowa proudly stated. 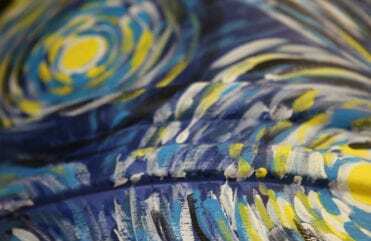 Being an engaged and productive part of the communities we serve is one of the core tenets of our business, and we bring the same enthusiasm to our clients’ home projects as the kids do to the Junior Crash Course. 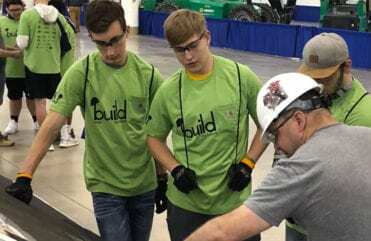 We look forward to seeing you and your families at the Junior Crash Course and at Iowa Wild games this season, and we hope you’ll visit our showroom or give us a call to help with your next home project!